I had the most incredible day yesterday. After enjoying coffee with a group of older woman, I wandered through Horsham in the heat of the day. I wished for a park, and one appeared next to me—a gigantic green space with constant gardens full of decorative greenery and wooden carvings unfolding around each bend. 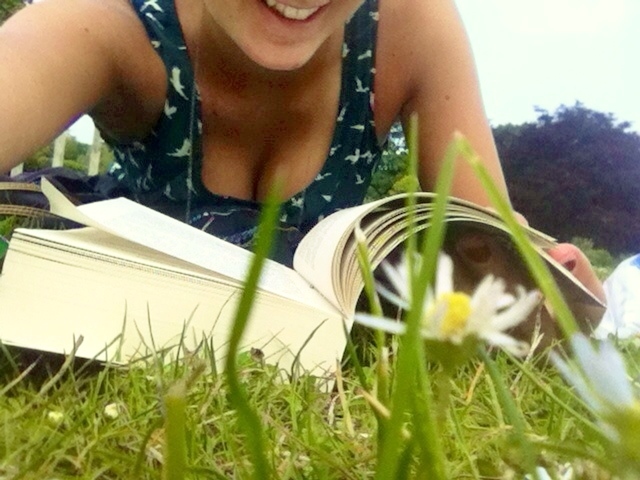 I lay in bliss with a book, grass imprinting its pattern against my bare legs. I was warm and content, but I knew something was missing. I glanced around the park at groups of friends chatting and playing football. Mothers pushed strollers, partners walked hand in hand. With a jolt, I realised that I knew what was missing. Fellowship. I wasn’t homesick. I was lonely. It’s a difficulty solo travelers are often confronted by. You can be in the most beautiful, lively, incredible place in the world, but be unbelievably unhappy or depressed because you have no one to share it with. Life’s special moments—breathtaking sunsets, hilarious happenings, burdening difficulties—are often experienced alone. Luckily, travelers don’t always have to be alone. Obviously, the best place to meet fellow travelers is where they stay: in hostels. However, if you find yourself settling down and relaxing in a home, as I am, meeting new people and making friends can be more difficult than imagined. Locals are generally intrigued to meet foreigners and hear their stories (or maybe just their accents). I make friends in church, while working, studying, or shopping; I ask to join a group of friends tossing a Frisbee. I contact couch surfers and volunteer. I’m not shy—I can’t be, unless I want to spend my entire trip without company. Still, it’s not always easy. Sometimes I am forced to go out of comfort zone to cure my loneliness. And sometimes, I simply can’t be bothered. There’s nothing wrong with being alone. Solo travel is good for the soul. You will be forced to spend time with yourself, so you will learn to be someone you like being around. You will grow, change, and learn. If you don’t, you’re not doing it right. Traveling alone teaches independence. It teaches you to try. It teaches you to reach out to the world in a variety of ways and situations, and feel it reach back. At some point, you need to trek into the world and face yourself, if only to learn you were there all along. As I lay in the grass of beautiful Horsham Park, I let myself feel lonely, but I wasn’t sad. The most difficult things in life are also the most worthwhile. I settled into the silver lining on the dark clouds of traveling alone, injured, and uncertain, and let the summer sun kiss my face in contentment. I miss my friends, I miss daily hugs, I miss the freedom of home. But I’m also delighted to experience life abroad once more—because even though it isn’t always easy, it is good. Alison…..you have just experienced one of the most life changing “AHA” moments. Everybody needs somebody at sometime! Enjoyed reading your blog, keep them coming. Travelling alone has its moments. It can be brilliant, you’ll find yourself meeting/talking to so many more people in the same situation. But yeah, all the travelling (for me) is more fun when you have someone to share it with – even if it’s odd moments here and there it is people that you will remember from your trip! Looking back on my time away I associate virtually each country with the people I met there. Keep it up! missing friends and family will pass 🙂 they’ll be home when you get back. Thank you for the positivity! It’s really true what they say, the people make the place.